Video games are big business and when it comes to their music scoring, only the best will do. Video game music is now at the same level of complexity and sophistication as film and tv music scoring. This means that budgets are readily assigned for full orchestral soundtracks, often only the best studios are used and composers are able to enjoy much more creative freedom. Here is a great example of that new-found creative freedom. 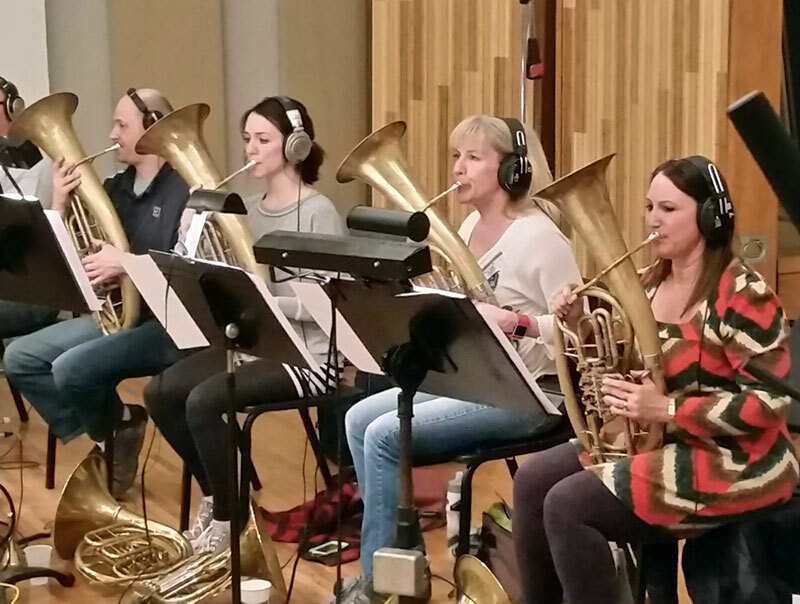 A set of 4 magnificent Alexander Wagner tubas being used in a score for a new, major video game for Electronic Arts (EA). This photo was taken just recently during recording sessions at Ocean Way Studios in Nashville, one of the finest recording facilities in the world. The set of Wagner tubas (2 in Bb and 2 in F ) used on the recording were actually hired in from the Atlanta Symphony Orchestra and the recording orchestra on the sessions was the Nashville Music Scoring Orchestra. Which video game the music is for is a big secret right now but it’s clearly a premium production. Let us hope that it’s the first of many that makes use of the wonderfully individual character of the Wagner tuba. Our thanks to Alan Umstead at Nashville Music Scoring (specialist contractors in film, tv and video game scoring) for permission to use the photograph.